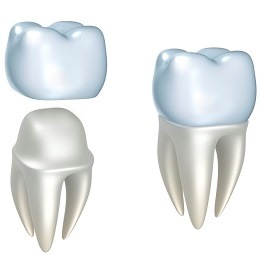 A crown (cap) looks and functions like your own tooth and can be made of different materials such as porcelain or metal. Crowns are recommended when a natural tooth has been weakened by the breakdown of previous fillings, tooth decay, trauma or root canal treatment. 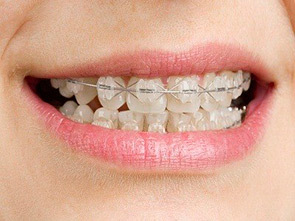 Bridges replace one or more missing teeth. They usually consist of two crowns on either side of the missing tooth which are joined by a false tooth. The crowns and false tooth are cemented in as one piece. At the first appointment, teeth are prepared and moulds are taken and sent to a local laboratory. 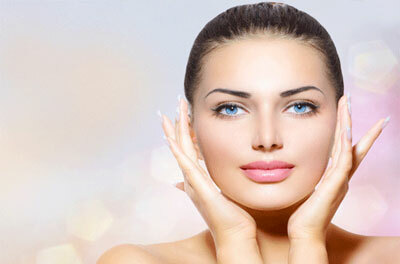 A temporary crown or bridge is fitted and will stay in place until your next visit. Your custom made crown or bridge will be fitted on your second visit. 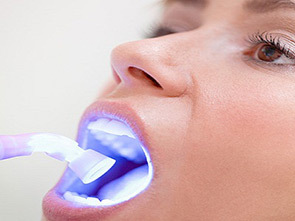 Prior to commencing crown or bridge treatment, your dentist will carry out a full consultation and recommend the best treatment for you. Sometimes a tooth will need a root canal filling or a post fitted before crown or bridge treatment.